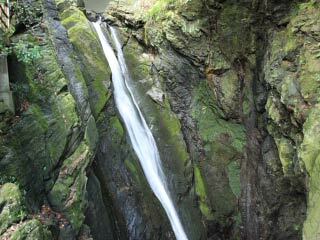 Soryu Falls (双竜の滝) is waterfalls located in Okutama, Tokyo. It is located under the bridge, and water run into Hatonosu valley. It is very tall waterfalls. 1. use JR Ome Line to Hatonosu Valley.